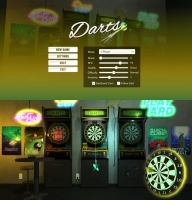 Games Devlog by Chris - Darts for Android completed?!? I painted glow effects onto the wall texture in attempt to recreate the "bloom" effect I had to remove for the Android version, and it turned out really good - I might even update the desktop version. I noticed a new bug with clicking the menu, fortunately it was easy to fix. 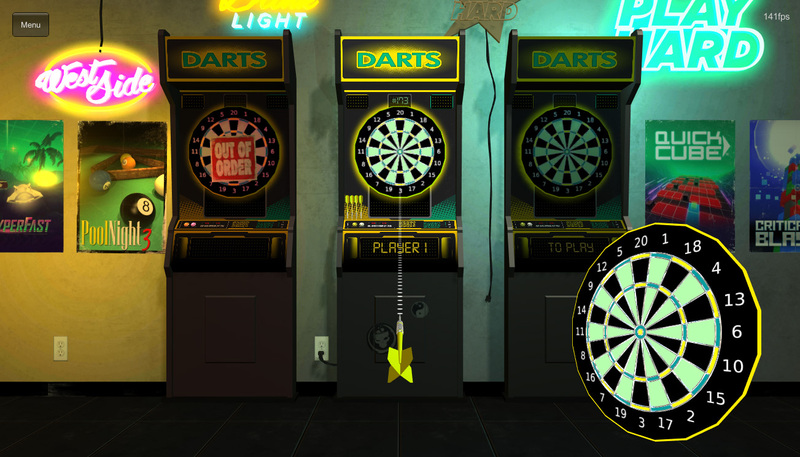 I simply used a timer/delay to prevent the dart from being thrown unintentionally when exiting the menu. I updated the publish/quality settings, updated a few materials, adjusted the lighting, and minor changes to the coding. I played several games and feeling much better about publishing a final version for Android!